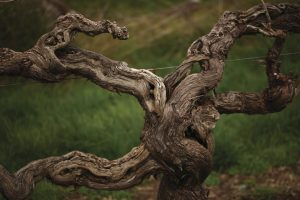 Known for world-class Shiraz and crisp dry Riesling there’s more to the Barossa than you’d expect. On this small-group wine tour of up to 6 guests we’ll help you uncork a range of varieties and styles, and help you better understand what goes on inside the bottle. With a focus on premium boutique producers it’s a completely flexible itinerary and you’ll help decide where we go. A must for the serious Shiraz lover or those who want a little bit of luxury, Explore the Barossa with your knowledgeable wine guide on this fully private wine tour with a flexible itinerary. We’ll work with your feedback and choose the wineries that best suit your interests. With special access to a range of elusive winemakers, let us know what you like and leave the rest to us – it’s what we do best! Enjoy your own private luxury wine tour of the world famous Barossa, focussed around exploring premium single-vineyard Shiraz from select vineyards throughout the region. You’ll visit two of the Barossa biggest names when it comes to collectable Shiraz, and we’ll also pay a visit to one of many small-batch producers with outstanding single-vineyard wines who aren’t yet on the international wine-radar. Leave it to us to create your perfect wine tour experience! The ultimate in luxury, prestige, and exclusivity, The Pinnacle is for those guests who expect only the absolute best. This is a full-on day of premium touring, exquisite dining, and world famous rare wines.